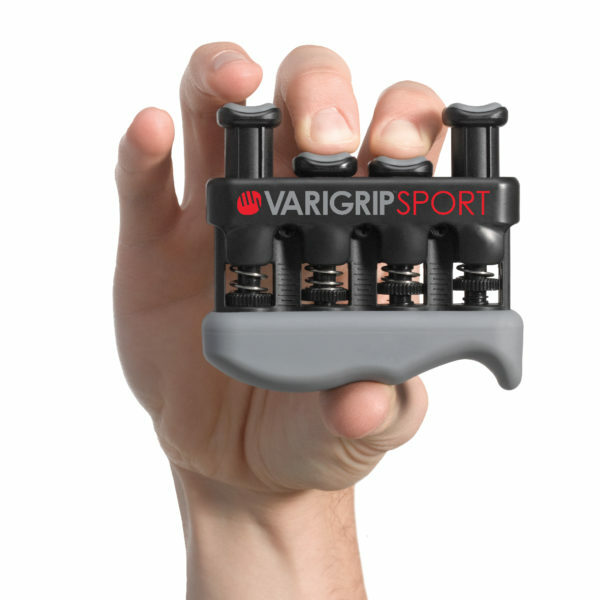 VariGrip Sport (Pro) has the patented ability to adjust the tension level in each individual finger. Therefore, it allows the user to create a custom programme to build and improve circulation, endurance, strength and dexterity. As a result, the training of individual fingers, as well as the entire hand, wrist and forearm is more effective. Similarly to the VariGrip Therapy, the VariGrip Sport (Pro) is the only exerciser of its kind that includes a callus builder, ideal for climbers, gymnasts, gamers, musicians and athletes of all levels.